Corporal Jay Church is recognized as the “2009 Deputy of the Year” for his display of exceptional courage and teamwork throughout 2009. In early 2009, Deputy Jay Church was assigned as a Field Training Officer at our South Precinct. He was then transferred to West precinct to assist with a new and innovative training concept being introduced. Corporal Church started 2009 by completing a 90-day TDY assignment to West Precinct’s General Crimes Unit. During this time he completed several important arrest and search warrants and investigated a large counterfeit money case. He developed a suspect, and subsequently served a search warrant and seized the counterfeit money and all of the equipment used to produce the counterfeit money. The case was accepted by the U.S. Attorney’s Office for federal prosecution. 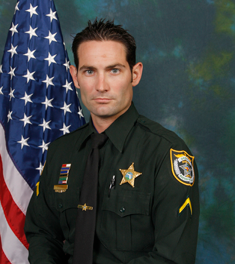 On June 19, 2009, Corporal Church and his trainee were dispatched to a home in Cocoa reference to a domestic disturbance. As they arrived on scene, Corporal Church could see the door of the home standing open and a man throwing items into the yard. Corporal Church could also see a female victim in the home behind the suspect. As the deputy and his trainee approached, the male suspect maintained control of the female victim and opened a kitchen drawer where he grabbed a ten-inch butcher knife. Fearing for the victim’s safety, Corporal Church ran up to the residence and drew his firearm. He was not able to get a clear shot on the suspect because the male suspect was keeping the female victim in a position where she could have been injured if the deputy discharged his firearm. Corporal Church then decided to physically strike the suspect across the neck in an effort to stun him while he prepared to wrestle away the knife while creating a safer distance for the woman. The strike was so effective, it completely disoriented the suspect causing him to actually drop the knife and release the victim. Corporal Church was then able to quickly subdue the man and place him in handcuffs. This is just one example of how Corporal Church continues to provide exceptional service to the community. He did what all deputies are sworn to do. He risked his life to save another. Corrections Deputy Robert Lincoln has set the standard as a dedicated professional in the corrections field. With just a few years experience as a corrections officer, he has already demonstrated his ability to rise to any challenge. He has been instrumental in the fight against contraband removal in the jail. He also has a knack for identifying seemingly calm inmates who have an underlying desire to commit suicide and get them the mental health help they need before they commit suicide. In August, 2009, Corrections Deputy Lincoln intuitive judgment and tactical decisions prevented a deadly situation from occurring. While working in a housing unit with the most dangerous inmates, the day’s inmate mail was delivered to him to be passed out. Out of the hundreds of pieces of mail that came in, there were several large legal packages. Legal mail is especially problematic for corrections officers in that it had to be opened in the presence of the inmate to ensure the legal mail was not read by others. Justin Heyne, a criminal who had just been convicted and sentenced to death for the murder of a 5 year old little girl and her parents, was to receive one of the legal packages. Investigators believe Heyne wanted to get a firearm to aid in his escape and to kill one or more officers. Heyne knew the corrections deputy would have to open the package in his presence and we believe it was his plan to injure the officer and retrieve the firearm, kill him and another officer, perhaps another inmate and try to escape. Heyne did not count on Deputy Lincoln being so astute that he picked up on the fact that the zip code on the return label did not match the physical address. Although concerned and suspicious, Deputy Lincoln did not want to draw attention to the situation in an effort to keep inmates for becoming aware of the situation. He calmly got into a safer and more secure area and contacted his supervisor. Further inspection revealed a .38 caliber pistol, load with live rounds in a hallowed out portion of the legal package. Had Deputy Lincoln not been extremely attentive to detail, Heyne’s plan to kill would have most likely worked. There is no doubt that Deputy Lincoln saved lives that day. 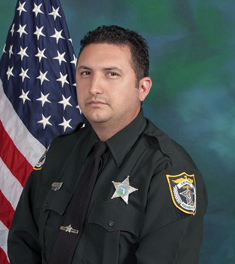 Corrections Deputy Lincoln was also selected by the Florida Sheriff’s Association as the “2009 Correctional Officer of the Year” for the entire State of Florida for his role in this incident. 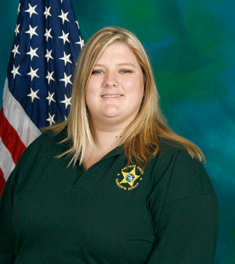 In May of 2009, Hope Graham was promoted to Assistant Shift Supervisor. 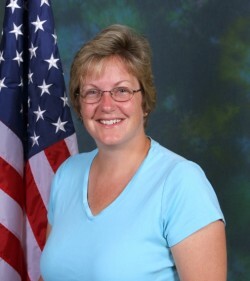 She has been recognized a number of times for commendable service, to include previously being selected as Communications Officer of the Month in June 2008. Her supervisors have stated that she is known for her commitment to excellence and sets a high standard. She consistently displays the highest level of care and compassion, which is a coveted characteristic for people in this highly stressful position. As just one example, in October of 2009, Officer Graham received a 911 call from a distraught woman. The woman relayed that she was preparing to commit suicide but first wanted to talk to someone. Hope immediately engaged in dialogue with the woman to gather more information and reassure her. The woman relayed that she had a gun in her lap and was preparing to take her life. With deputies responding to the woman’s address, this Officer continued to talk with the woman in a very calm and compassionate way while trying to convince her not to harm herself. She was successful in reassuring the woman that she was there to help her, and additional help was just moments away. After building a relationship of trust with the woman, this officer than convinced her to put the weapon down and meet officers at the front door. The woman complied and officers were able to get her the help she needed without incident. When the awards committee met in January 2010, they discussed the candidates for Employee of the year. Every person was able to recall a situation in which Julie was there to personally help them. In all of the incidents Julie assisted after hours from her house, while off duty, or in some other unique way that was above and beyond what was expected. 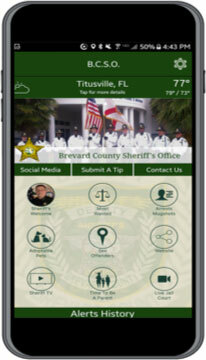 In February 2008, the Brevard County Sheriff’s Office transitioned to a new Computer Aided Dispatch System. The software was obtained in late 2008, and an extensive amount of configuration was needed to tailor the product to meet the needs of the agency. Julie McDoungh coordinated this project. She worked countless hours in research and development of the new product while juggling the day-to-day responsibilities which included managing 500 mobile laptops for the deputies, various databases, supervised employee access to the network, and led laptops and laptop user groups. In addition, she also monitored and assisted five other police agencies with laptops that access our network. Even with all of her responsibilities, this employee also finds the time to participate in programs to benefit children like our recent “Shop with a Cop”. Beginning in 2005, the Brevard County Sheriff’s Office established a very special annual award known as the Lucy Ross Award. Lucy was unfortunately taken from us much too early when she was killed in the line of duty on October 8, 2004. Lucy was very special to all of us. One of the ways we celebrate her life is through the recognition of a very special person in the Sheriff’s Office who demonstrates the same qualities as Lucy. Qualities such as an unwavering dedication to the community, the attainment of excellence in her profession, and the love of children. 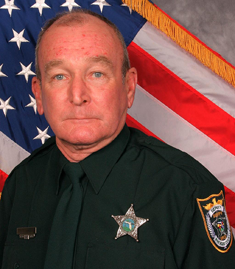 Sergeant Greg Buttrick has been employed by the Brevard County Sheriff’s Office since 1986. During his career he has been instrumental in planning and organizing many charitable events to assist the youth in Brevard County. He also has been involved in assisting many fellow employees and their families when in need. During the past three years he has participated in and organized four separate Space Coast Public Safety basketball and baseball tournaments to help underprivileged youth. As many as ten teams competed in each event. One of the tournaments was organized to assist a Deputy Sheriff who sustained a severe on-duty injury. He was also one of the coordinators for a large softball game at the Nationals Stadium, which raised over $25,000 dollars in a single night for a child who was diagnosed with cancer. His latest event at was held at Christmastime he arranged for Santa Clause himself to stop by and give out gifts to more than 100 children. His compassion for people and ability to motivate others has translated into many children and families being helped when they need it most. Reserve Deputy Bruce McMann began his law enforcement career in 1969 with the Arlington Police Department before moving to Florida and being hired by the Florida Department of Law Enforcement. 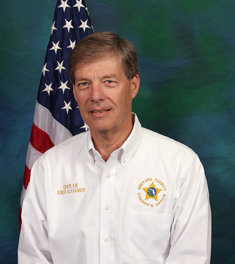 In January of 2005, he retired with more than 35 years of service – 2 with Arlington, 25 with FDLE and 8 with our Sheriff’s Office. Fortunately for us, after retirement, he decided to continue his law enforcement service by continuing to work in the Sheriff’s Office as a Reserve Deputy. He holds certifications as a Patrol Rifle Instructor, a Tactical Pistol Instructor, a Shoot house Instructor and a Taser Instructor. He is an Armorer for the M-16/AR-15 rifles, Remington shotguns and Glock, Smith & Wesson, H&K and Sig Sauer pistols. 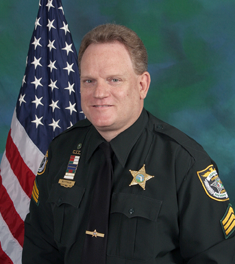 During 2009, he has dedicated over 700 hours of no cost service to the members of the Sheriff’s Office, teaching most of the Firearms Classes throughout the year. According to members of the range staff, he can be called upon at the last minute and he responds without hesitation. He is the first in the door and the last the leave. According to the range staff, this individual has been a lifesaver for the personnel at the range. The Brevard County Sheriff’s Office considers it an honor to recognize citizens who make a significant contribution to Agency by volunteering their time, skills and talents to make our community a better place to live. Roger serves many critical roles in our agency without so much as a dollar of compensation. He is a chaplain for our agency and our volunteer coordinator. He also assists Special Operations with Emergency Management and teaches at our Citizen’s Academy. During 2009, he has volunteered almost 2,000 hours, the equivalent of a full-time employee. As a volunteer coordinator, he oversees the day-to-day operations of not only the Chaplin program, but also the COP and volunteer programs. To make the volunteer application process more efficient, he worked with our Personnel Unit to create an account to receive the information on the drug screens in a timelier manner. He is very well trained in the Incident Command and emergency management functions. He has disaster training and real world disaster experience from his work with the Billy Graham outreach program. He has worked in the aftermath Hurricane Katrina as a counselor and debriefing facilitator for first responders. 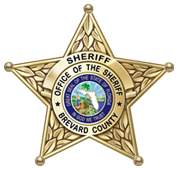 His efforts have allowed the Sheriff’s Office to provide better services to its volunteers, its employees, and the citizen’s of Brevard County. Each year the Sheriff’s Office recognizes a special person in our community who has dedicated their life to reducing crime and juvenile delinquency, and provide a safer community for our youth. Because they work as a team in so many of their volunteer community efforts, this year’s award goes to Melody Keeth with Serene Harbor Domestic Violence Shelter. Melody is the key reason Serene Harbor is as effective at helping people as it is. 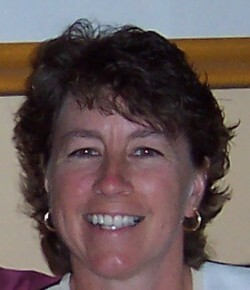 She has been the Executive Director of Serene Harbor for the past 12 years. She has worked in the field of social service for 27 years, the last 22 of which have been in program development and administration. Prior to coming to Serene Harbor, she worked with a variety of special needs populations as a vocal advocate for their needs. She is passionate about empowering victims of domestic violence and helping them to escape their situation and giving them the hope and strength they need to start over. She is dedicated to not only helping victims but to do everything possible to stop domestic violence from occurring in the first place.